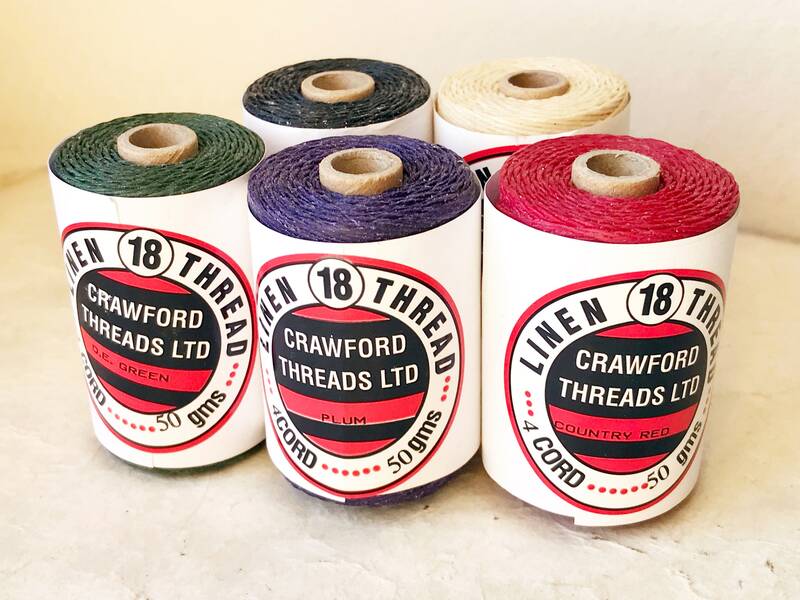 Spool of high quality waxed linen thread by Crawford in choice of 5 colors. This 4 ply cord is incredible to work with, strong and flexible, excellent for bookbinding, jewelry making and sewing. The wax used on the thread is vegan (non-animal based). For more than 2 spools, please contact me for a discount. For other colors, contact me for a custom order. Ships from France, free domestic shipping, reduced cost for international, mailed priority with tracking. 7ply thread also available in limited colors, contact me for availability. 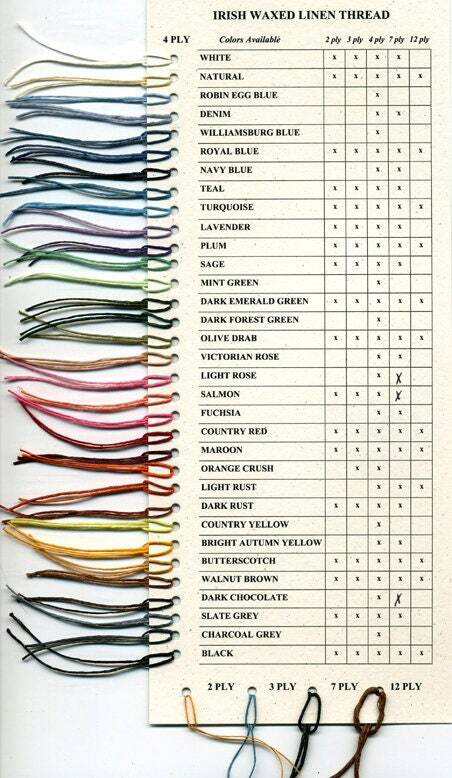 I stock Crawford Linen Thread for both professional use as a bookbinder as well as reselling. I'm happy to order any color and thread size you are looking for.